Our Secure Server is available! Please use the Secure Patient Portal to ask any personal questions! General questions about obstetrics or gynecology? You may schedule an appointment by telephone at 407-649-4300. We do look forward to hearing from you! 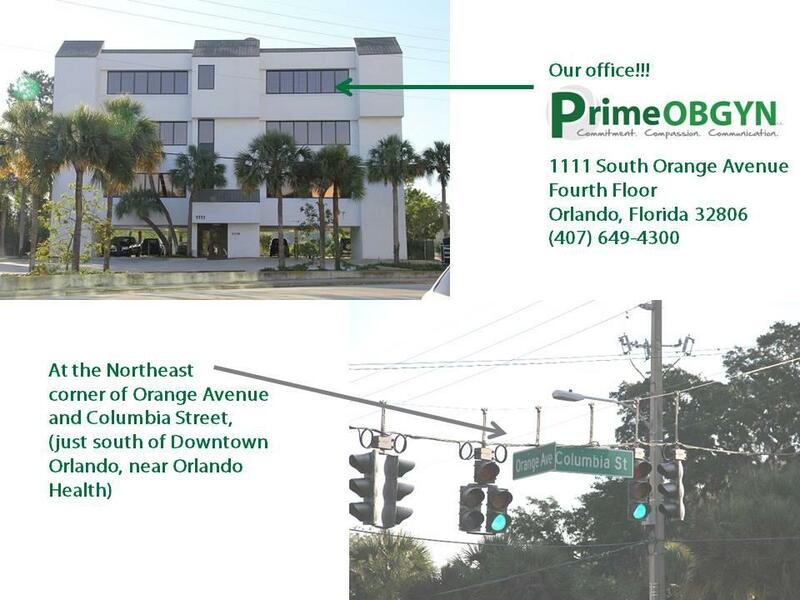 We are conveniently located just south of downtown Orlando at the east side of the intersection of South Orange Avenue and Columbia Street. We are on the fourth floor of a four story white building.